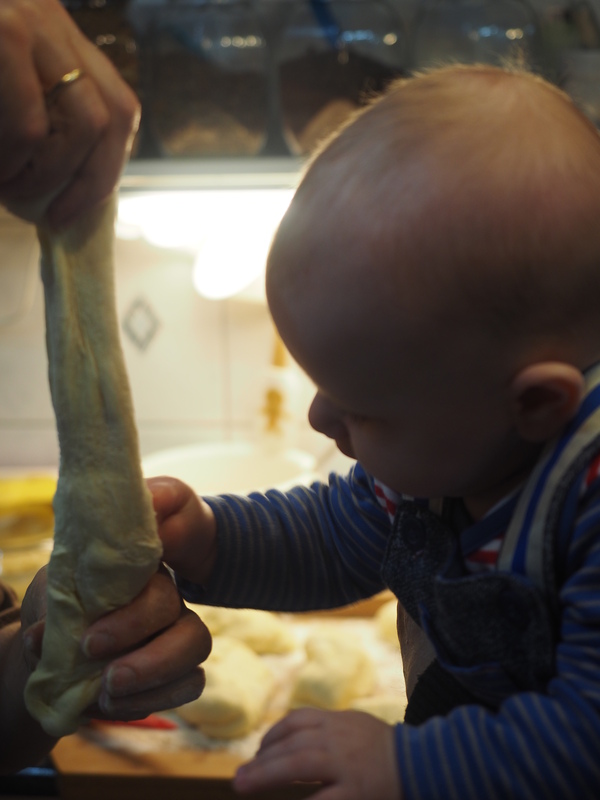 Timeless and Traditional Angels’ Food: Kürtőskalács | When Judit bakes...bread and better.. When one fancies a little warm, family love, this cake offers a filled with flavour of tradition, history and appreciation of roots. 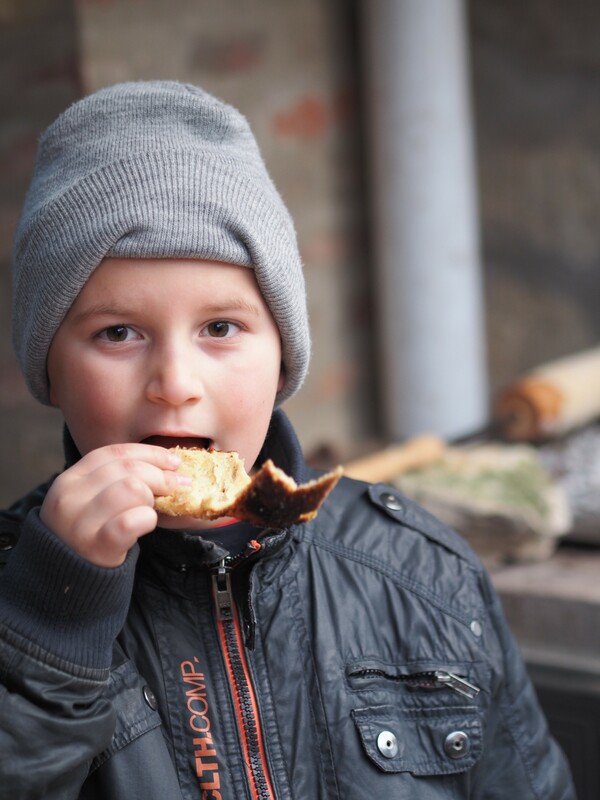 Its making-baking process has not changed over centuries, and once tasted, people will definitely know why. 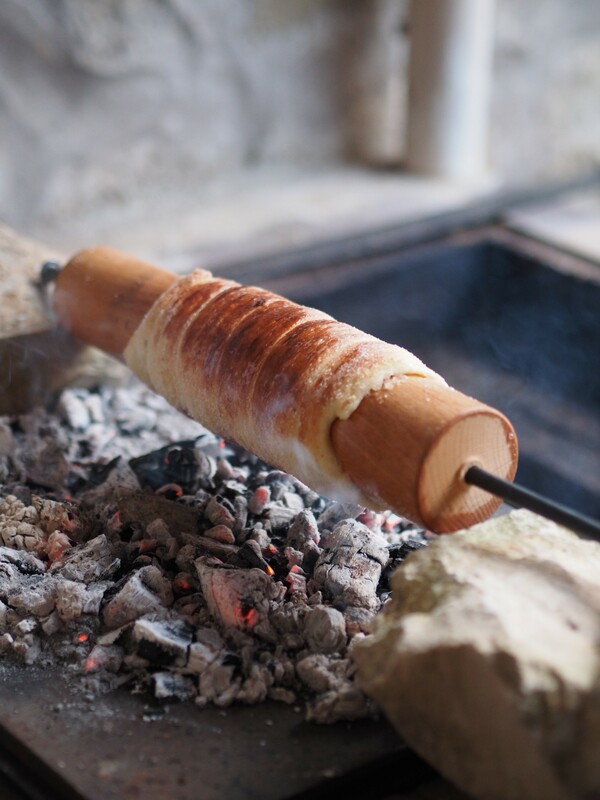 The famous Hungarian Kürtőskalács is technically a sweet, enriched bread, specific to Hungarian-speaking regions in Romania, more predominantly the Szekely land. 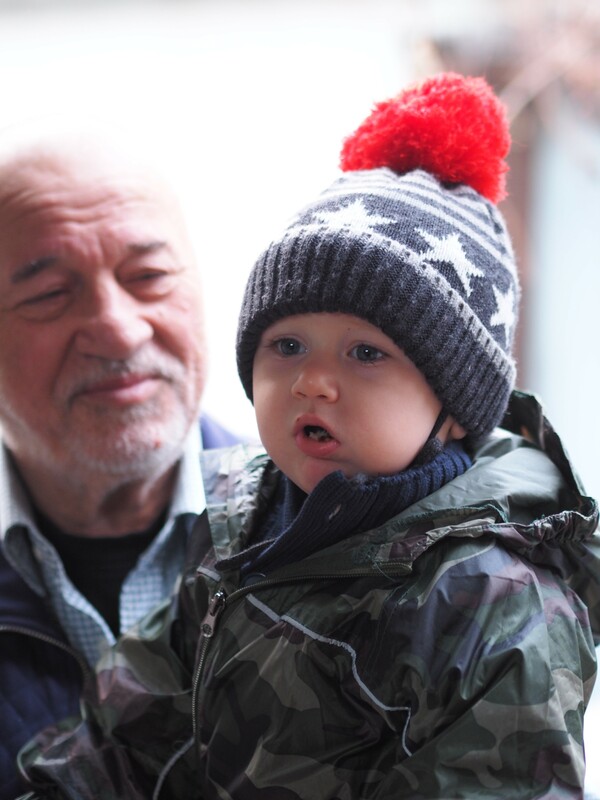 It is the perfect festive treat, also part of everyday consumption. 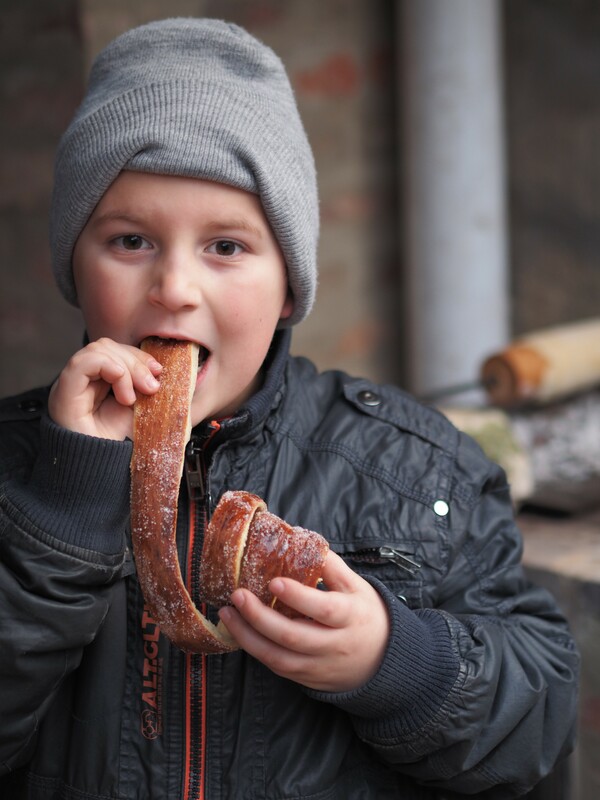 Kürtőskalács is made from a yeasted, raised dough, of which strips are spun and then wrapped around a truncated cone–shaped baking spit, and rolled in granulated sugar. It is roasted over charcoal while basted with melted lard, until its surface cooks to a golden-caramel colour. 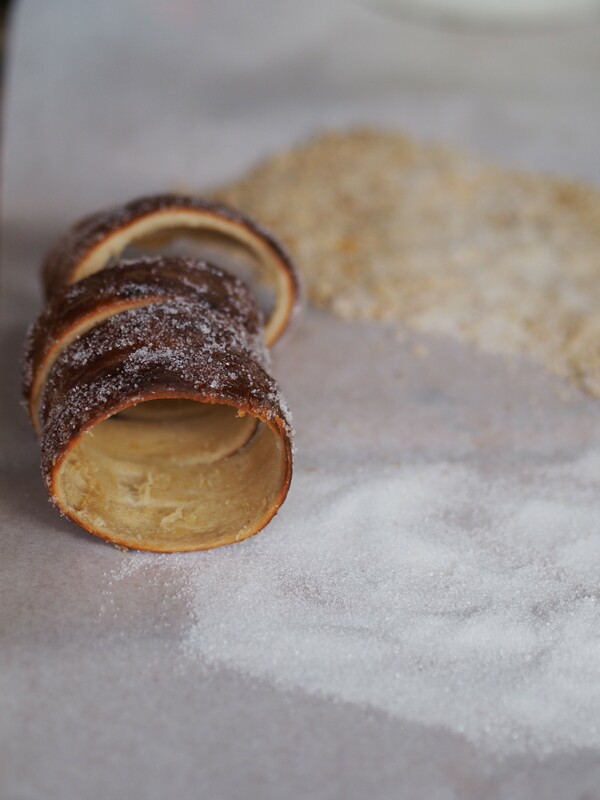 During the baking process the sugar stuck on the outside of kürtőskalács caramelises and forms a shiny, crispy crust. The surface of the cake can then be topped with additional ingredients such as more sugar, ground walnut or powdered cinnamon. The first known recipe of Kürtőskalács originates from Transylvania, included in the 1784 cookbook of Countess Mária Mikes of Zabola. It makes no mention, however, of sweetening of any kind in the preparation. A recipe from the cookbook written by Kristóf Simai in 1795 in Upper Hungary (present-day Slovakia) first mentioned “sweetening subsequent to baking”. 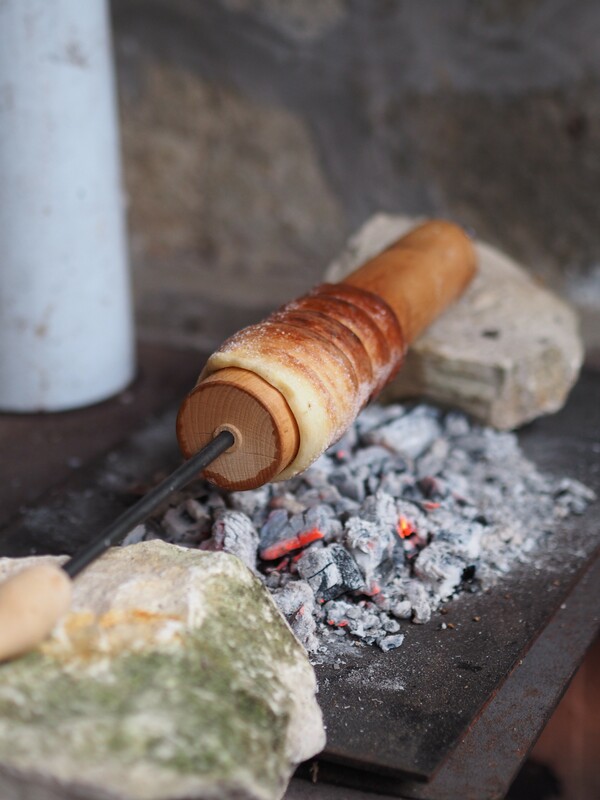 Almost 100 years passed before the first mention was made of the next step in the evolution of kürtőskalács, the appearance of a caramelized sugar glaze, in Aunt Rézi’s Cookbook written by Terézia Dolecskó in 1876, published in Szeged, Hungary. 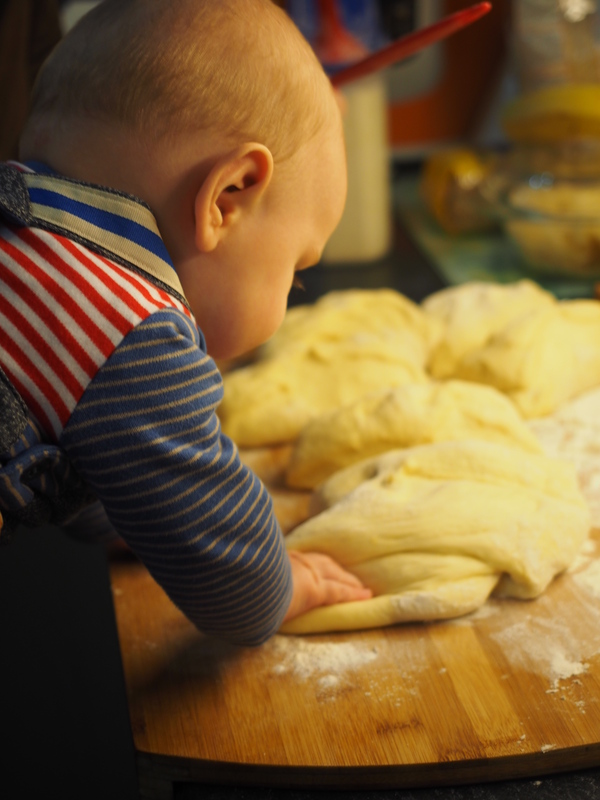 The recipe suggests “sprinkling sugar (sugar almond) on dough on spit a priory to baking”. Mix yeast and sugar with soured cream, and let it stand until creamy and frothy. 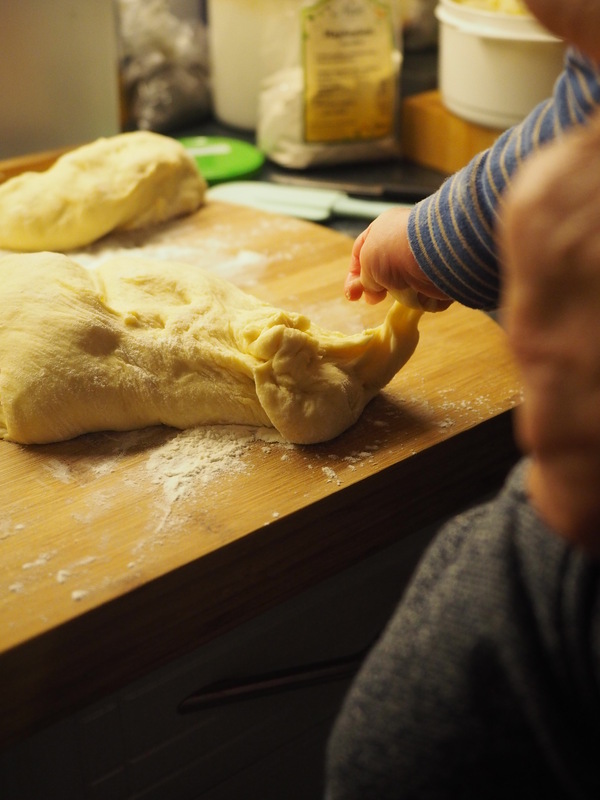 Combine with all ingredients, creating a very soft, homogeneous dough. Set aside to rise until doubled in size. 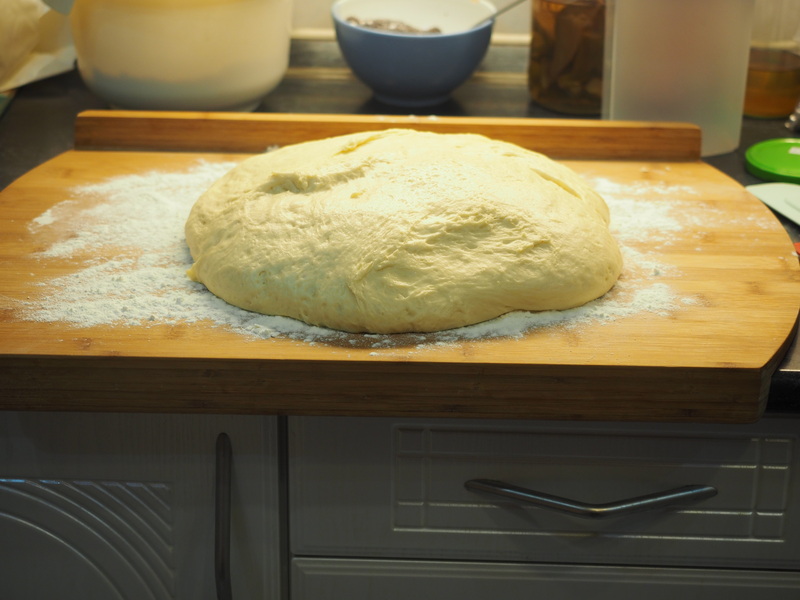 Once risen, place on floured surface and cut pieces of the dough. 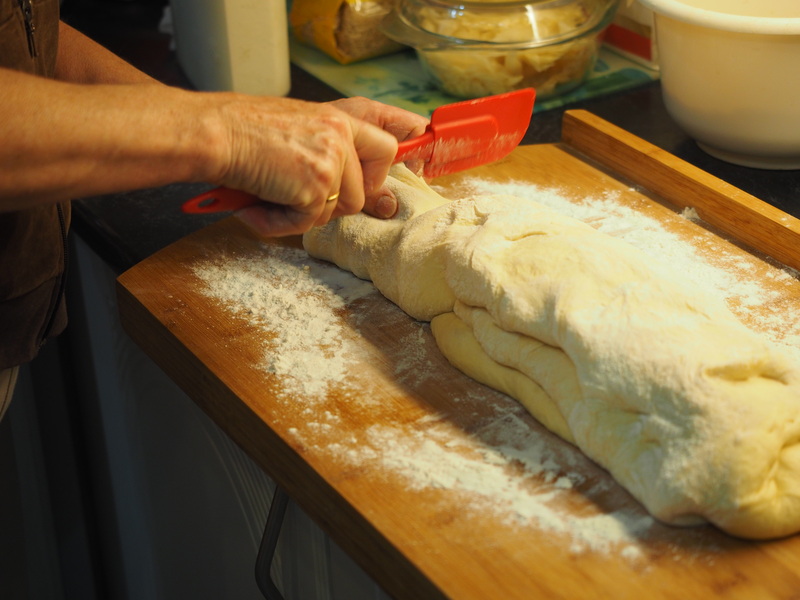 Shape into long strips, deposit layers of dough, one at a time, onto a tapered cylindrical rotating spit. Before the dough is baked by charcoal, rotisserie-style roll into sugar. This entry was posted in Baked treats, Flatbread, Flavoured breads, Just Everything, Special flours and flavours, Sweet Bakes, Treats for Life, Yeasted bread. Bookmark the permalink. Love this! It’s very popular in Israel as well, though electric oven is used instead of the charcoal for baking. I am all for traditional methods…also, it tastes a million times better 😉 J.